Sleeps 2-4 guests. Consisting of entrance hall, spacious lounge/dining area with fully fitted Kitchen and a comfortable double sofa bed. 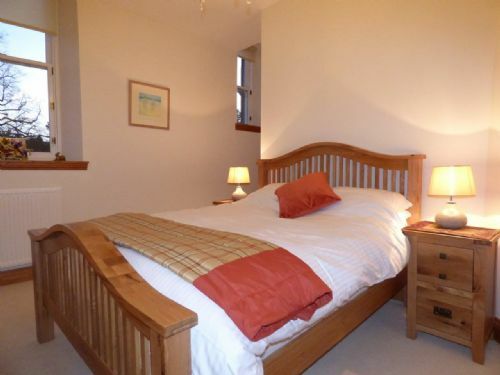 King size bedroom with Jack and Jill bathroom which can be accessed via bedroom or hallway. The interior is smart, fresh and contemporary and furnished to the highest standards; inclusive of Smart TV, DVD player, Wi-Fi and full central heating. We were in for a wedding at The Cruin, so the location couldn’t be beat. We were two adults and a four year old and the size and amenities were perfect. We had one small issue with the hot water to which Wendy was super responsive and fixed immediately, and it was no issue the remainder of the stay. I would absolutely stay here again and recommend it to others! The only thing I might recommend to improve anything is room darkening shades, as the current ones don’t do much to block the morning light and resulted in some early mornings - mostly ok by us, though it would have been nice for the morning following the wedding haha. We stayed here because we were going to a wedding at The Cruin. It was ideal as not only is it situated in a beautiful setting but it was very close to The Cruin. The flat was large enough for 2 adults and 2 teenagers. We had plenty of space for getting ready and the boys loved having access to Netflix. Would definitely consider coming back for another few days. The castle is absolutely gorgeous and the apartment itself stunning also. We visited in Autumn and the trees outside in the garden were just beautiful. More spacious inside than i expected from the photos - plenty of space to keep luggage out of the way etc. Very clean and everything you need in kitchen etc! Bed was very comfortable! Would definitely return! A weekend of fun and wedding celebrations complimented by very comfortable and accessible accommodation. Many thanks for the attention to detail and the welcome pack that greeted us on arrival. Would recommend this venue and setting highly. Good stay,Liz in the office is lovely! Each flat should have two gate entrance device! The carpets in the stairwell and hall way were not hoovered our whole stay,which was disappointing in such a lovely building! You need to wear your SUN GLASSES AT NIGHT! Room was mostly well equipped and clean. The grounds of this property were amazing! Here are a few things this room needs in order for people to have an even better stay. 1) BLACK OUT window shades or blinds. Sun went down at 10:45pm and was back up at 4:15am! All the windows in this unit had only a white shade that let all the sunlight in, so we didn't sleep well until we covered our faces with something which kept falling off. We tried to buy sleeping masks at a few stores and were not able to find any. 2) A couple of small portable FANS shlould in the closet for those rare warm Scottish nights. There were 4 out of our 7 nights that we needed a fan because there is no AC in this unit. 3) A bin for recycling in the kitchen for plastic and paper. We all know recycling is important and there was only a bin outside for glass. 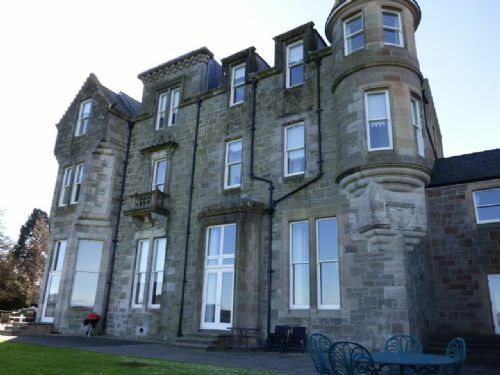 All and all we had a great time in Scotland and would consider this property again...just a different unit. Thanks. Good service when booking and very good instructions to enter the property. Nr 7 was large enough for a short break but both the bedroom and lounge/kitchen are small, especially when using the folding dining table in the lounge. Instructions for appliances could be improved (provide an index) and specific advice (by which I mean prepared for the property rather than flyers) on local shops and facilities would have been welcome. I noted the flat was fitted with a smoke alarm but there was no evidence of an alarm system for the whole building; as the hall and landing are communal I found that surprising. There is a shortage of communal waste bins, the bottle bins were filled on the same day immediately after they had been emptied. For the price we could have stayed in a hotel, maybe without the comfort of a settee to whatch the TV, but with breakfasts included. Hence poor value. Recommended for the location. Super stay at The Pipers No 7.Very clean and well equipped not one thing that it lacked. Outside areas well cared for and views amazing. Ideal if attending wedding at Cruin and easy walk to Duck Bay. Excellent Easter family break. It makes such a difference to book into somewhere that provides a welcome pack. I have booked other lodges etc and you need to pack everything from toilet roll to towels. It was such a great place to arrive and have all the essentials there to start our break. We will return. We literally booked this 2 hours before we arrived after the lodge we were going to fell through. What a lovely relaxing apartment. Beautiful location. The apartment is very well equipped and comfortable. The bed was extremely comfortable although for me the pillows were a bit soft but that is just a personal thing. What did stand out was the service from both Liz and Wendy. I can see why they have lots of comments online. Nothing is too much trouble for them. Exceptional service. We walked to Duck Bay Marina nearby and had a fab breakfast. The previous day we had lunch at The Lodge on the Loch with family which again was excellent. All in all a lovely three night break with lots of beautiful memories. Would recommend this apartment to family and friends. Great location. This was our second time there as convenient for visiting family in area. An extremely well-presented and comfortable apartment in a beautiful setting, containing everything required from a self-catering holiday. Good supermarkets, restaurants and spa a short drive away and an excellent base to visit some gorgeous Scottish locations. Lovely to return to at the end of a long day out. 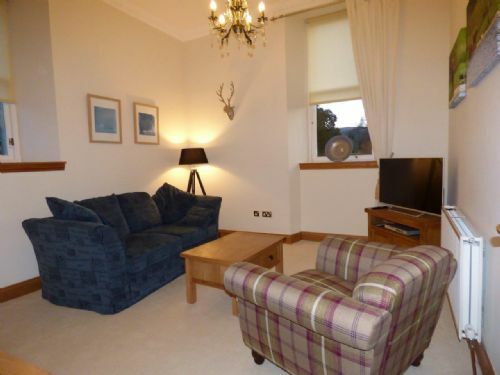 Easy to book and warm and welcoming support provided by Auchenheglish Lodges. We stayed recently to attend a wedding at nearby Cameron House. After a 25-30 minute taxi ride from Glasgow airport we arrived 2 hours earlier than our check in time but thankfully our accommodation was already ready. We were met at the reception and kindly given a lift with all our bags to The Pipers although there was plenty of parking available if we had driven. The accommodation was modern, clean and comfortable with a large kitchen and lounge area, spacious double bedroom, and bathroom accessible from the entrance hall and bedroom. As the wedding was taking place at Cameron House we spent much of our time back and forth between the venue and The Pipers, it's roughly a 15 minute walk or a 3-4 minute taxi journey which was perfect as we were close enough for the journey not to become tiresome but far enough away to have our own time when we wanted it. Lomond Castle is a grand old building situated overlooking the Loch with great views and if I had one criticism of The Pipers it is that the property is the car park side of the building rather than the Loch side; however, I'm sure the Loch facing properties are considerably more expensive. During our stay we were able to fish on the Loch, play golf at The Carrick (5-7 minute taxi) and enjoy the local places to eat and drink; I recommend The Boat House Bar/Restaurant (5 minute taxi) near Cameron House for lunch/dinner and The Duck Bay Restaurant (10 minute walk) for breakfast. As there are so many outdoor activities around Loch Lomond we didn't spend much time in The Pipers during the day but it was perfect as a base due to its location and was always a welcoming property to come home to of an evening. Would definitely visit again. Excellent quality accommodation in a great setting. 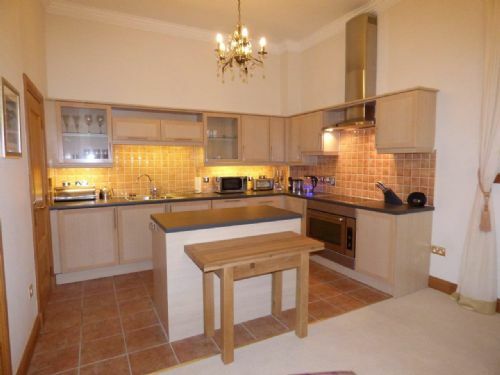 Excellent quality apartment in a great setting. 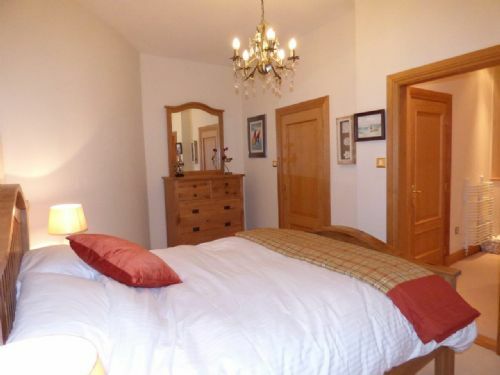 Nice high ceilings and spacious rooms with good quality fixtures and fittings. Great place to stay in the heart of the National Park. The lodge was very comfortable and made for a very pleasant experience. Beautiful location with lovely accommodation. Very nice touch leaving bread and a bottle of wine when we arrived. Highly recommend. Fantastic apartment. Very well equipped. Lovely apartment. Like a home from home, has everything you need. Would recommend. Excellent location on the Loch. A fabulous apartment within gated grounds.As soon as we walked in it felt like home.Looking forward to returning in the summer. We stayed in No 7 for two nights in November 2016 when we attended our niece's wedding at The Cruin. The booking was made by my sister-in-law Janis Cameron. We collected the keys from the office boxes and let ourselves in as per the emailed instructions. The apartment has a warm welcoming feeling with quality inclusions and everything that guests would need. It was lovely to find bread and milk in the fridge, tea and coffee in the cupboard. The breakfast cereal was an added bonus as we had to leave early on the Sunday. Linen and towels were very good quality and the bed very comfortable. Good pillows, unlike most hotels we have visited in the UK. Overall it was a perfect apartment for our weekend stay. - the stairs are very steep and a lift would improve the experience especially for older guests carrying luggage upstairs. - the supermarket hard wash in the bathroom did not reflect the otherwise excellent standard of the apartment's inclusions. 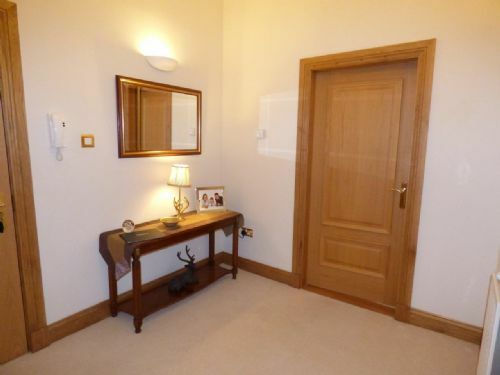 The Pipers is a beautiful bright apartment in a lovely building. 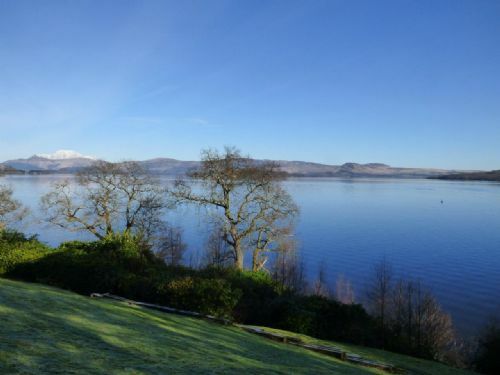 The setting is superb and the views from the garden over Loch lomond are fabulous. Would happily stay here again, highly recommended. The accommodation was wonderful and in a perfect location to be able to explore the Loch Lomond area. It contains all modern appliances to provide guests with the option of a self-catering holiday; although as it is conveniently located beside Duck Bay and the village of Balloch, our preference was to eat out. We really enjoyed our stay and when considering another weekend away to Loch Lomond we'd definitely consider using Auchenheglish Luxury Lodges. 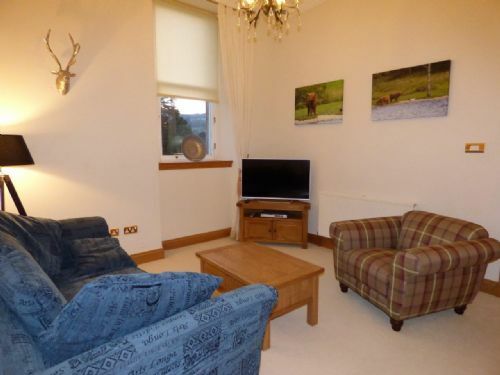 The castle is in a perfect location on the loch, very clean and well presented self contained accommodation. Certainly a place we would come back to and recommend to others. Thanks very much for a great stay! Gorgeous apartment in a beautiful location. Everything you would want on a holiday. Would definitely recommend and will certainly be returning. Thankyou again, we loved it! It was a lovely place to stay, we did not have a problem with the accommodation at all. It had absolutely everything you needed supplied. The only problem we found was most of the pubs within walking distance weren't really pubs, they were more like restaurants so you had to buy food to sit in with kids. 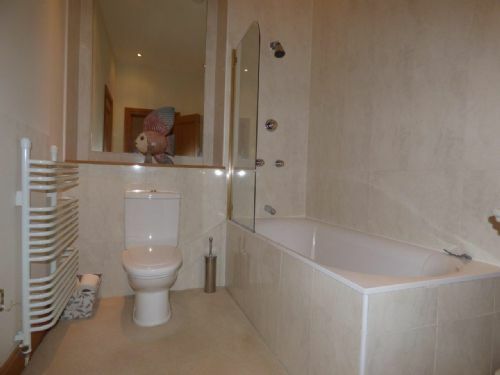 Spotless flat in a great location. 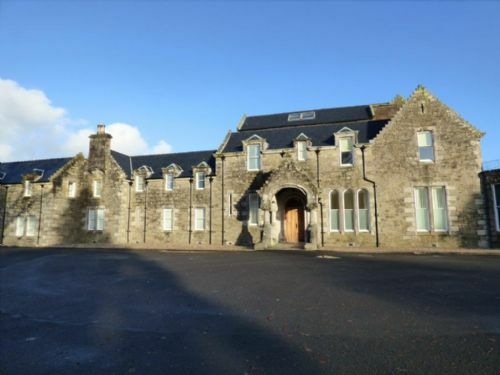 We have stayed in several Auchnaglish properties over the years . No3 is a better unit when staying in the Castle. ( we know it from olden times when it was a hotel). The TV has limited channel selection and we missed the Loch Views ( it's not entirely clear you look over the front garden from the website). Still we had a great time and it was nice to be back in the area we have been visiting for around 35 years.